Best value per square foot in the building! Priced under market value- freshly painted! Scenic direct water views from every room! Open & Unique Flow - Through Floorplan with direct water views of the intercostal. Direct balcony access every room in the unit.Contemporary modern kitchen with high end designer cabinetry , granite countertops, glass tiled backsplash & stainless steel appliances. Less than 2 miles to the beach. 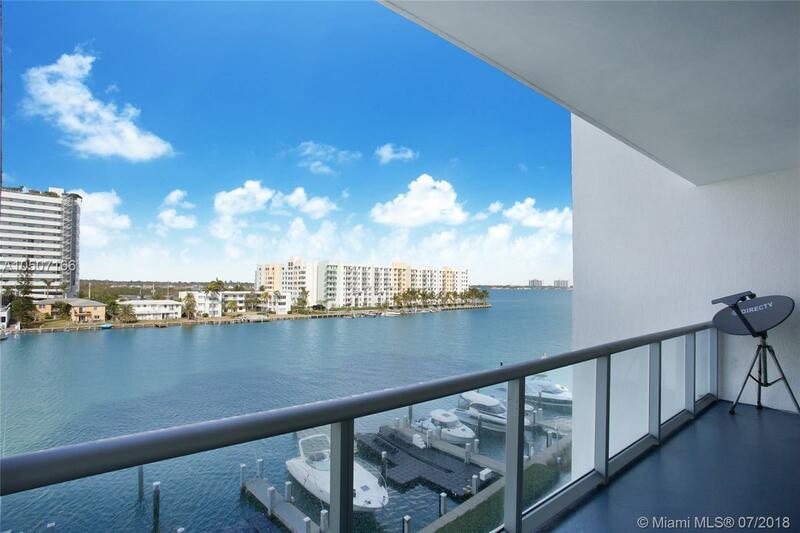 Located in North Bay Village - a three island waterfront paradise at the edge of Miami Beach. This high end community features a private marina, 24 hour doorman, Pool deck with cabanas, high end fitness center , tennis & basketball court. plenty of guest parking and beautiful pool overlooking the bay.